Democratic congressional candidate Alexandria Ocasio-Cortez blamed “the right” and its criticism of left-wing protesters for an explosive device found in left-wing billionaire George Soros’ mailbox. Authorities on Monday afternoon safely detonated the device, which did not explode on its own, near Soros’ New York home. Ocasio-Cortez, who is a virtual lock to win her congressional race in two weeks, claimed rhetoric on “the right” was to blame for the incident. Police have not yet identified a suspect or motivation for the crime. 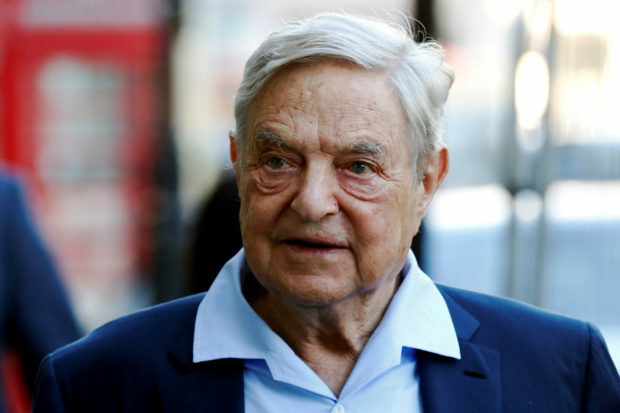 Activists backed by Soros, for example, handed out cash to left-wing protesters to pay their bail after being arrested for illegally disrupting Supreme Court Justice Brett Kavanaugh’s confirmation hearings, likely in violation of IRS rules. Republican congressmen and allies of President Donald Trump have been consistently harassed and chased in restaurants and anywhere in public they show their faces. House Majority Whip Steve Scalise has been a consistent advocate against violent rhetoric in politics, especially since surviving a mass assassination attempt of Republican congressmen in July 2017.